We offer a multitude of masonry services at Reliable Waterproofing and Masonry. Whatever you need, we can help. Virginia Masonry can be one of the most important things when it comes to the value of a home. It adds beauty, appeal, and oftentimes masonry can make the home last longer. If you’re in need of masonry repair in Virginia, contact us today! 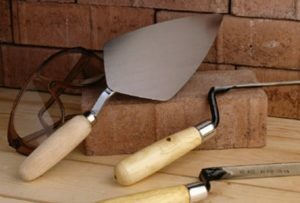 Bricklaying is a master craft and should be performed by experts in masonry. It can add to the beauty and value of any home or building. We have many different brick options and can make your home look beautiful. Cinder blocks are made of fly ash or bottom ash and have many applications. They are commonly used for load-bearing walls in conjunction with other materials. Block foundations can be a whole lot stronger than your traditional poured foundations. The size of aggregate is smaller in block foundations than in poured foundations. Sometimes these block foundation walls are reinforced with rebar. Since they are solid blocks at the time of construction, it might be useful in a job that needs to be done quickly. 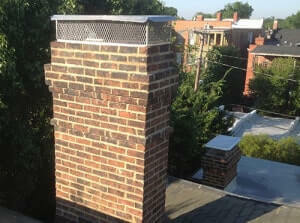 If you need chimney repair or decide to add this feature to your home, we can help. Sometimes chimneys lean over time. This is a danger to you and the homes around you. Don’t wait if this is happening to your home – call us right away. A leaning chimney can also be a sign of foundation failure. The value of your home is too important to let these things go. Retaining walls are used to add support for many things such as landscaping or farming, but did you know that basement walls are also considered retaining walls? We have options for you to choose from for your retaining wall projects and we can help you decide which of these options are best suited to your needs. We have many other brickwork applications ranging from decorative to commercial. For more information on these applications, call us today for some sample ideas. We would love to share our expertise with you! We also offer brick re-pointing, foundation repair, and waterproofing. Whatever you need, whether it’s bricklaying, cinder blocks, block foundations, chimneys, retaining walls, or other brickwork applications, you can bet we have it for your masonry repair! We’re dedicated to giving you a professional, quality job that will make you feel secure and your home look good. Your home is important to you. That’s why it’s important to us. 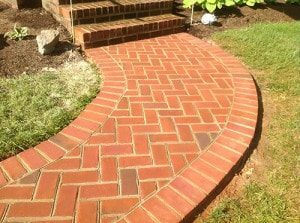 If you need masonry repair in Richmond, Virginia, call us today!